Data from Content Explorer tool. Ahrefs is great for links, but not so much for rankings. Ahrefs has always been a backlink checking tool and I would say you’re the strongest one out there right now. However rank tracking isn’t something that has been there from day one and may need more work. It’s great to be perceived as “the strongest out there” backlink checker tool, but at the same time this very perception prevents our users from realizing how robust our “ranking reports” are. So let me tell you why Ahrefs is an awesome tool for researching organic search traffic of your competitors. What Is “Organic Traffic Research”? But when you put these keywords into Google, you see one website that consistently ranks on the first page — ZenHabits.net. Well, you can do that with Ahrefs! Now let me explain to you why I love this tool so much. 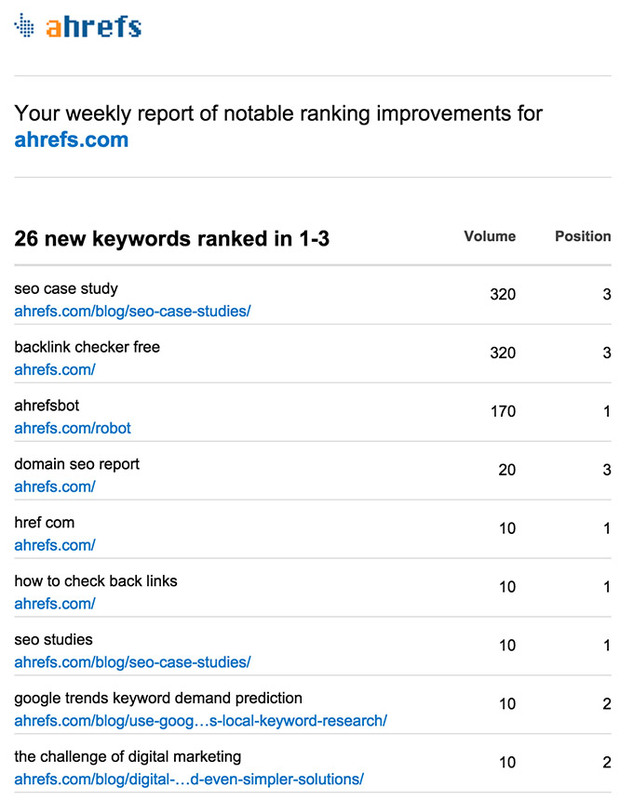 Here at Ahrefs we collect rankings data for over 300 MILLION different keyword searches. And that is for United States alone; we have 14 more countries in our database. To the best of my knowledge that is much more than any other similar tool has to offer. So what does it mean for you? 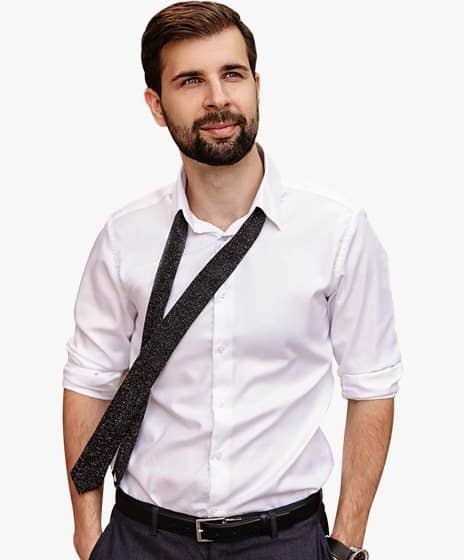 Let’s say I want to know which threads on the r/Entrepreneur subreddit are ranking on top of Google and the exact keywords that they rank for. I was able to find 9,166 reddit threads under r/Entrepreneur subreddit that get search traffic from Google. This little “reddit hack” can be your entire content marketing strategy for a new blog. 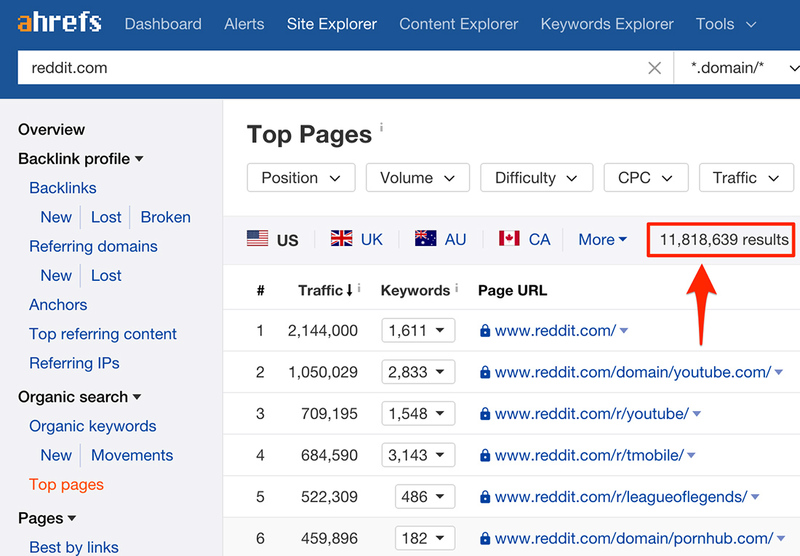 Just pick a subreddit relevant to your niche, put it in to Ahrefs and you’ll get a few hundred content ideas along with the exact keywords you should be targeting. That’s a ton of data for your content marketing team. Let’s say I want to write my own post and rank it at the top of Google for that keyword. 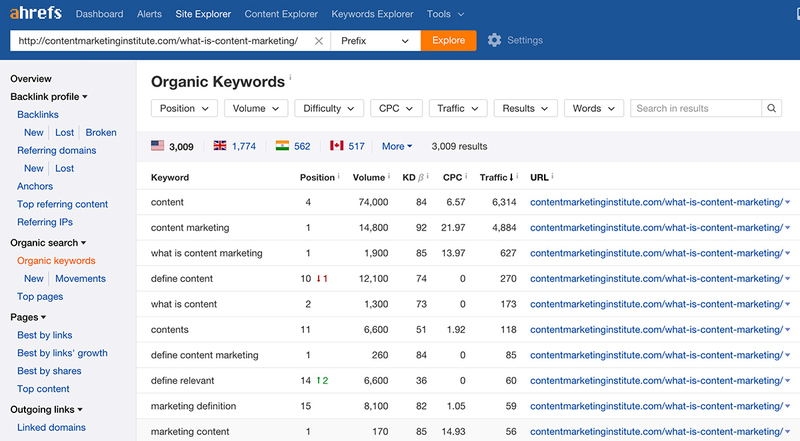 Optimizing my article for the keyword “content marketing“ is a no‐brainer. But obviously it’s not the only keyword that the above article is ranking for. So what are these other keywords that I could rank for with my article? In addition to the keyword “content marketing“, this article ranks for quite a few other high‐traffic search terms. So when writing my own article on the topic of “content marketing” I would surely include many of these keywords so that my article would rank for them in search. Cover these topics on your own page. Did you notice that we have moved Ahrefs blog from “blog.ahrefs.com” to “ahrefs.com/blog”? Because we update the positions on many of the keywords in our database on a daily basis, we’re able to build these pretty accurate graphs that represent the search visibility of a given website over time. And not only can we do this for the whole website, we can also do it for individual URLs. As of today our article ranks for 211 different keywords and it was published only last month. So if you have a hard time pitching your content marketing services a potential client, just take a few screenshots of how their latest articles performed in organic search and I’m sure you’ll persuade them to hire you. you get daily/weekly updates of where you rank for these specific keywords. But let’s get back to my example of article that ranks #1 for the keyword “content marketing” — that’s not the only keyword that this article ranks for, right? So how do you keep an eye on any other keywords that it ranks for? Let me explain how that works. We monitor the positions of your site across millions of keywords, and send you a weekly email alert with all the improvements that we have noticed since the previous week. New keywords that entered positions “11 to 50”. This kind of report is a perfect way to satisfy your client. Website owners often focus on the rankings of a few highly competitive keywords, which are insanely hard to move. And our “keyword improvement” alerts help them to understand that their site started ranking for hundreds of longer tail keywords that will bring a lot of new search traffic to their website. Like I said in the intro to this article, a lot of people praise us for being the best backlink research tool in the industry and neglect all the other things that we do. Well, when I reflect on my personal SEO routines, I realize that I use our organic traffic research tools just as much as our backlink tools (if not even more). Thus I strongly encourage everyone to give this part of our toolset a spin and see how much value you can get from it. Shows how many different websites are linking to this piece of content. As a general rule, the more websites link to you, the higher you rank in Google. 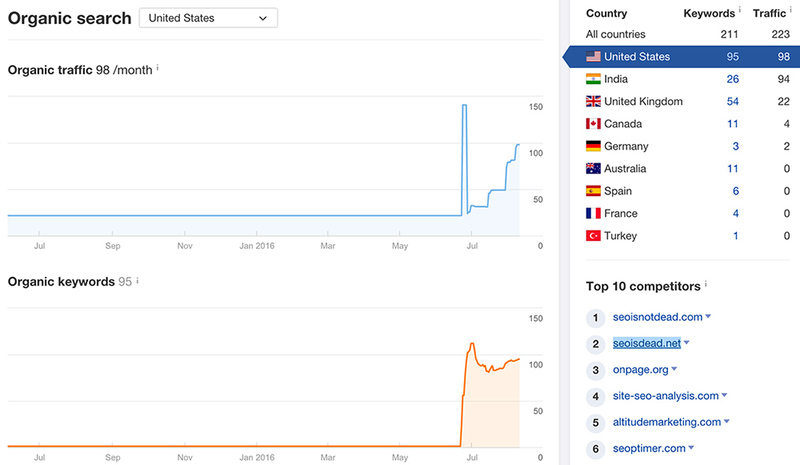 Shows estimated monthly search traffic to this article according to Ahrefs data. The actual search traffic (as reported in Google Analytics) is usually 3-5 times bigger. 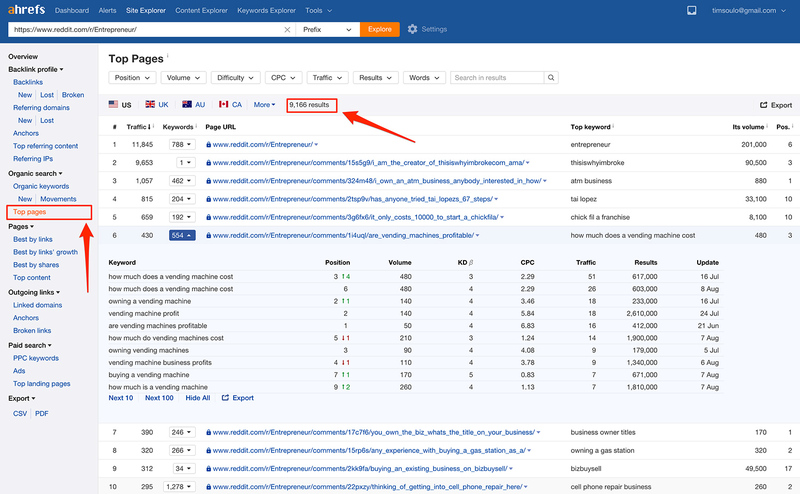 © 2019 Ahrefs Pte Ltd.